If you’ve been bemoaning the lack of official iPod options in your Lexus, there’s some good news: An iPod Integration Kit, approved by Apple, will be available for all current Lexus and Toyota models in early 2008. Retailing for $300, the kit allows you to use your factory stereo (and any steering wheel controls) to navigate and control your iPod. 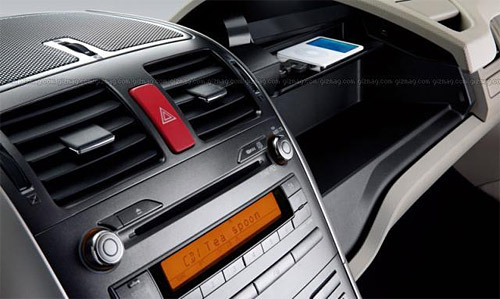 The music player connects to the system from inside of the glovebox, where it should be safe from bumps and bruises. Purportedly easy to install, the Integration kit will also charge your iPod should the batteries get low. At first, I wasn’t too crazy about the idea of the iPod stashed away in the glovebox, but it does make sense. I find navigating through playlists and artists while driving an understandably stressful event, and it would very handy to be able to just use the stereo controls. Too bad it only works for current models. krew: @vittorio: Should work on every late model Lexus -- best idea would be to contact VAIS to make sure.